1  behind in the rent he can make good on the rent payments. 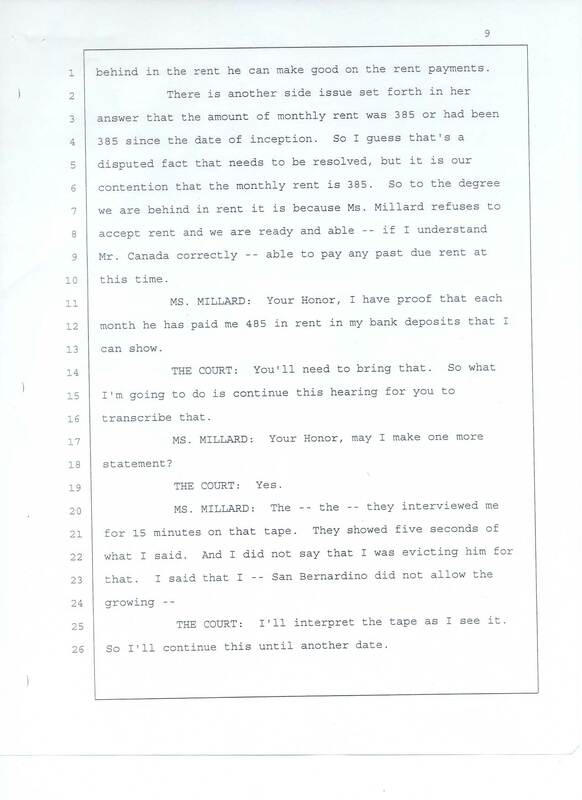 25 		THE COURT: I'll interpret the tape as I see it. 26 So I'll continue this until another date.